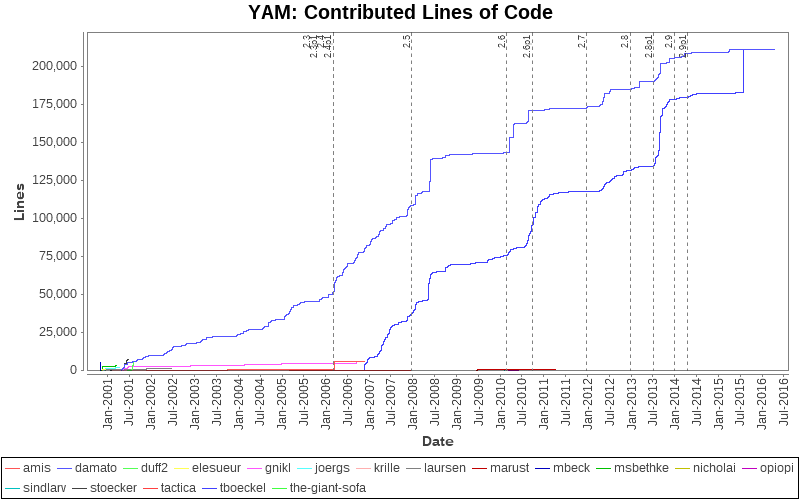 This page is a list of the names of currently active developers and also of developers who contributed to earlier versions of YAM. If you want to view the activity of the various developers and who are currently active and who are not, just have a look at ​http://stats.yam.ch/developers.html. If you want to join our team or you want to go in touch with our developers please consider joining our development mailing list and bring up your questions there instead of contacting one of our members directly.